Although online advertising generated €31bn revenue and more than 3.4M jobs in Europe in 2013, the lack of transparency on the users’ data collected is creating increasing concerns. The online advertising market must integrate transparency and privacy preservation as fundamental principles, enhancing users’ control over their personal data to keep their trust. Innovation: EARTO member Eurecat and its partners developped TYPES, a new set of software solutions to protect individuals’ privacy and rights and empower the users to control how their data are used by service providers for advertising purposes. 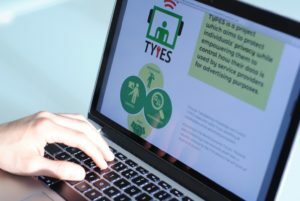 Among the tools developed in the project’s framework, TYPES includes a web-browser plug-in that informs users about who is accessing their data and protects them against privacy violation. The TYPES solution also includes tools explaining the value of online data and giving control over the personal data generated. Impact expected: TYPES solutions will enable users to make informed decisions about whether or not give away their data and what implies The tools will also make easier to verify if users’ rights are respected online. These actions are targeted at making users re-gain trust online and stimulate a higher uptake of online services. TYPES is now being validated in operational environments by more than 4000 real users. Eurecat is the main Technology Centre in Catalonia, Spain. Its multidisciplinary and multinational team of 600 professionals work in some 160 projects of applied R&D.